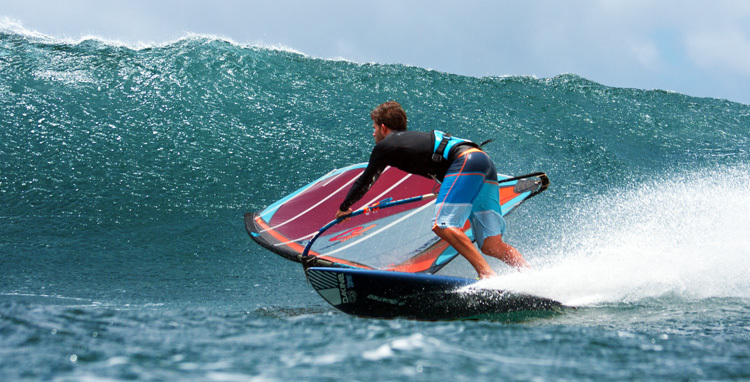 The legendary multi-discipline 5 batten wave sail design with the widest top end wind range is S2Maui’s new Alchemy. Classic neutral handling essential to down the line wave sailing and magical stability makes the Alchemy the perfect choice for all high wind demands. Superior upwind ability gets you back to take off points faster, and its stability provides you with unparalleled control and confidence in the air. Ideal for both wave and bump & jump conditions at high wind locations worldwide, the Alchemy’s multi- faceted personality answers the sailor’s demand for the ultimate all-round performer. a super smooth and balanced feel.